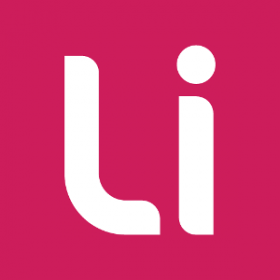 Lithium Technologies announced findings from its State of Social Engagement 2016 study of the retail industry, which uncovers the extent that Fortune 1000 retail brands are engaging with consumers across social platforms. The study revealed that the retail industry did well in interacting with their consumers, providing insights into the products they sold, posting content about getting the most from those products and often linking to promotions that can drive sales. The Retail edition of The State of Social Engagement 2016 rated eight Fortune 1000 brands – Sephora, Lululemon, Target, Nike, Amazon, Walmart, REI, and The North Face – across branded online communities as well as five of the most popular social channels used by consumer brands to engage with customers: Facebook, Twitter, YouTube, Instagram and Pinterest. Altogether, the report examined eight industries: Retail, Telecom, Consumer Products, Travel & Hospitality, Financial Services, Media, Technology and Pharmaceuticals. Lithium builds trusted relationships between the world’s best brands and their customers, helping people get answers and share their experiences. Customers in more than 34 countries rely on Lithium to help them connect, engage, and understand their total community. With more than 100 million unique monthly visitors over all Lithium communities and another 600 million online profiles scored by Klout, Lithium has one of the largest digital footprints in the world. Using that data and the company’s software, Lithium customers boost sales, reduce service costs, spark innovation, and build long-term brand loyalty and advocacy.